Daniel Therriault is a playwright and screenwriter. As an actor in Chicago’s off-Loop theatre movement in the 1970s, Therriault was nominated for a 1977 Jeff Award for Best Actor in a Principal Role for WHO’S HAPPY NOW? at the Body Politic Theatre. He performed in full seasons at the Alley Theatre in Houston and at the Milwaukee Repertory Theater, as well as Off-Off Broadway. His first play, BATTERY, premiered Off-Broadway in 1981 at the Theatre at St. Clements and was the professional stage debut of actress Holly Hunter, who went on to win the Academy Award for Best Actress for The Piano. BATTERY was performed by The Actors’ Gang at Second Stage in Los Angeles, produced by actors Tim Robbins and Meg Ryan. Other productions include the CAST Theatre in Los Angeles starring LeVar Burton, produced by John Wells, in 1983 (Drama-Logue Award for Best Writing), the New York Theatre Workshop, the Staatstheater Braunschweig in Germany in 1989 and the Edinburgh Festival in Scotland in 1989. The play was developed for the screen by Oscar-winning director Tony Richardson and Richard Olivier. BATTERY was chosen by Broadway Play Publishing for the company’s inaugural printing in 1983. THE WHITE DEATH premiered at Kawaiahao Hall Theatre in Honolulu, Hawaii in 1986 and opened at the CAST Theatre in Los Angeles in 1987 (Drama-Logue Award for Best Writing). Therriault’s one-act FLOOR ABOVE THE ROOF was performed in Chicago in 1987 as a winner in the Great Chicago Playwrights Exposition at the Body Politic/Victory Gardens Theaters and in 1989 at the Henry Street Settlement Arts in New York City. His play SURPRISE PARTY (2018) is published by Per H. Lauke Verlag in Hamburg, Germany. Excerpts from BATTERY, THE WHITE DEATH and FLOOR ABOVE THE ROOF were published in 100 Monologues by Signet. An excerpt from BATTERY was selected for Solo! Best Monologues of the ’80s by Applause Books. Therriault’s 1992 radio play THE HITCH was chosen to initiate the “Radio Stage” series on WNYC, broadcast nationally on NPR, in Canada, Australia and broadcast in 2002 in translation on the German public-broadcasting radio station Westdeutscher Rundfunk. His radio play ROMANCE CONCERTO featuring David Strathairn was broadcast on WNYC and nationwide in April 1995. As a screenwriter, Therriault wrote the 1997 HBO film First Time Felon, starring Omar Epps and Delroy Lindo, and the 1999 HBO film Witness Protection, starring Oscar-winner Forest Whitaker and Mary Elizabeth Mastrantonio (Golden Globe Award Nomination for Best Television Film). 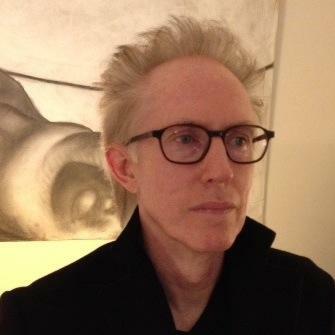 Therriault is an alumnus of New Dramatists, received a 1991 McKnight Foundation Artist Fellowship and residency at the Playwrights Center in Minneapolis, a residency at the Tyrone Guthrie Center in Ireland as an artist exchange with author Sebastian Barry, a residency at Robert Redford’s Sundance Institute PlayLabs and a Callaway Award for service to New Dramatists.